Angelus Apatrida took flight in 2000. A year later, the word was thrashed to the tune of Lost in The Realms Of Orchinodaemon. 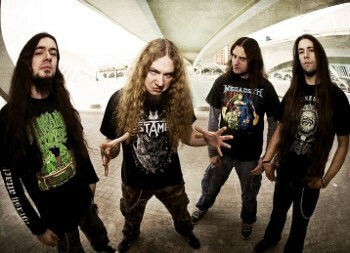 Spanish thrash metal band Angelus Apatrida would release a new studio album, The Call, on April 30th, 2012 through Century Media. The album was again recorded at Ultrasound Studio in Moita, Portugal with producer Daniel Cardoso.